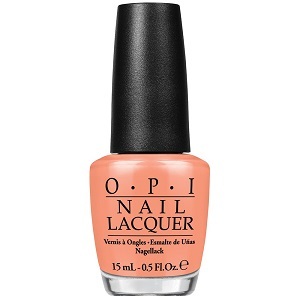 OPI Nail Polish, I'm Getting A Tan-gerine, NLR68, .50 fl. oz. Dusty melon orange creme nail color. OPI Retro Summer Collection, 2016.